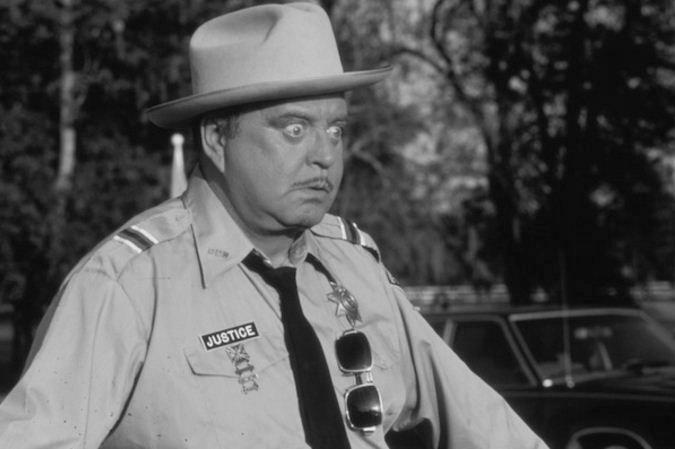 Actor Jackie Gleason played Minnesota Fats in the 1961 film The Hustler and starred alongside Burt Reynolds as Sheriff Buford T Justice in the Smokey and the Bandit films. Apart from acting he also had a successful career as a composer. His first album “Music for Lovers Only” still holds the record for the album that has stayed the longest in the Billboard Top Ten Charts -153 weeks in total. Jackie also had a photographic memory, a fear of flying, a fascination with the paranormal and was a supporter of Richard Nixon. 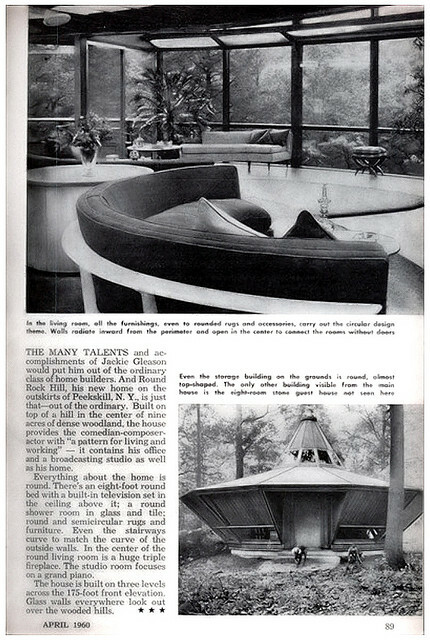 However we’re taking a look at a feature from an issue of Popular Mechanics in 1960. 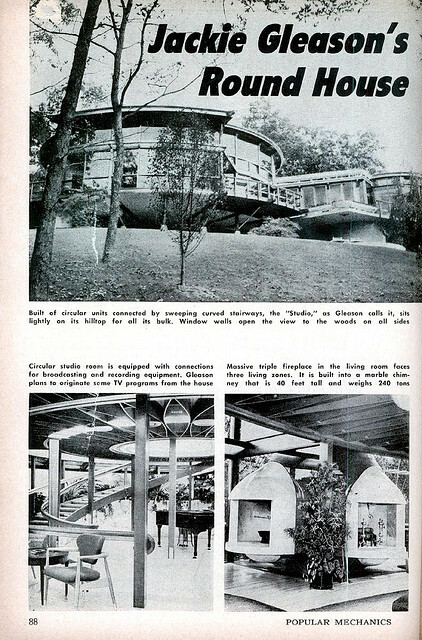 The article shows his groovy futuristic round house on the outskirts of Peekskill, New York where the actor lived, relaxed and chilled out. 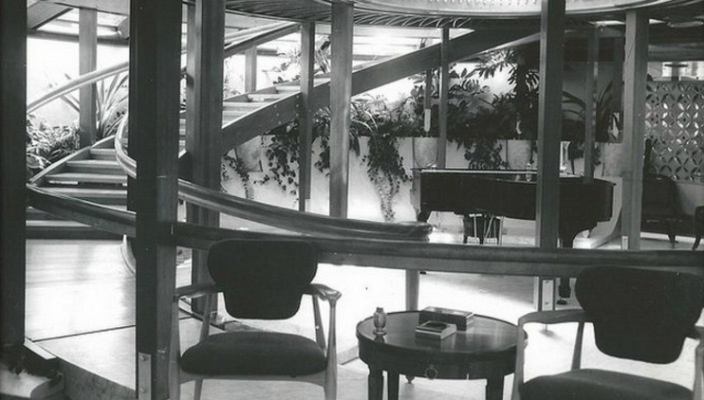 Drive By Modernism Episode 1 Trailer – Jackie Gleason’s UFO House from Marc Santo on Vimeo.